Raumfahrt+Astronomie-Blog von CENAP - Blog: Astronomie - Stephen Hawking’s final paper published, tackles famous paradox Black holes might have “soft hair,” the better to store information. When famed physicist Stephen Hawking passed away earlier this year, he left a scientific legacy that included one of the knottiest paradoxes in modern theoretical physics. Now his final paperhas just been published, revisiting the question of whether information can be retrieved from a black hole or whether it is lost forever. The paper posits that information can be stored in a halo of "soft hair" surrounding a black hole. Once upon a time, physicists believed that black holes had no hair. "We can often tell people apart by looking at their hair, but black holes seemed to be completely bald," co-author Malcolm Perry of the University of Cambridge writes in The Guardian. That is, all you needed to describe black holes mathematically was their mass and their spin. 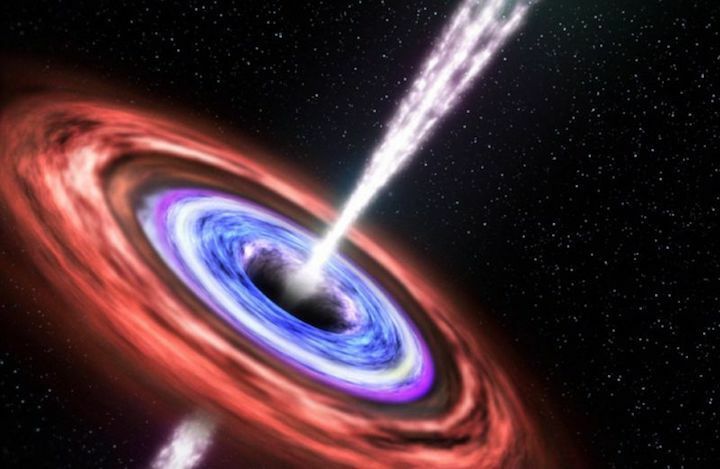 So there would be no noticeable change if you threw something into a black hole—nothing that would provide a clue as to what that object might have been. That information is lost. But in 1974, Hawking realized that black holes also have a temperature, and if so, they had to produce some kind of thermal radiation. So black holes must also have entropy—technically, a means of determining how many different ways you can rearrange the atoms of an object and still have it look pretty much the same. Hawking was the first to calculate that entropy. He also introduced the notion of "Hawking radiation."